$300 annual Marriott credit. Think of all those vacations, work trips, family holidays, weddings, bar mitzvahs, etc. you need to attend. That by itself reduces the net cost of the card to $150. Reimbursement for TSA Precheck or Global Entry (which includes Precheck) $100 value. 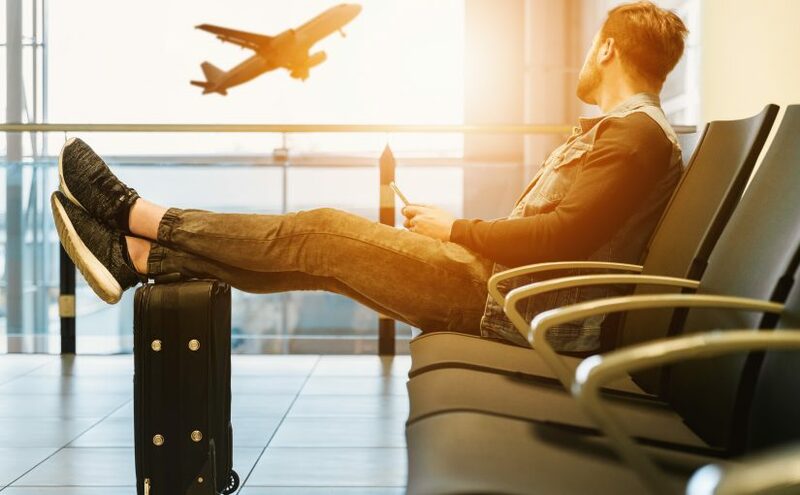 Priority Pass Select membership – get into airport lounges without flying elite or paying per visit. Do you know how many $7 bad coffees and $12 bad beers / cocktails I’ve been able to avoid on layovers or delayed flights? Not to mention legit food instead of deep-fried or infinitely shelf-stable chips/crips? And clean bathrooms, spacious outlets, proper air conditioning, gorgeous views, etc.? Basic priority pass costs $99 per year PLUS $27 per visit per person. Under the Amex arrangement you get (last I checked) up to four guests on your own admission. Boingo Wifi membership – free. Normally this runs $14.99 per month. It’s not my preferred way to connect, but to each their own. Free gold status in the marriott / bonvoy / starwood system. This is a hidden gem of upgrades, etc. I’ve been able to upgrade from regular rooms to suites avoiding the need to pay for a 2nd room. Easily covered the annual fee of this card in a single transaction. There’s also perks that are common or of not particular interest to me: no foreign transaction fees, 6 points per dollar spent at Marriott hotels, collision damage waiver on rentals, roadside assistance, travel and bag insurance, etc. If you get the signup bonus (by spending $5K in 3 months, and I have all kinds of ways you can do that), you’ll get 100K Marriott Bonvoy points – worth between 2-5 nights in Marriott properties (depending on the fanciness of the hotel). You can also transfer these points on a 3:1 basis to lots of airline programs (so ~33K miles). So in two years – $900 in fees gets you…$600 in credits, plus between 3 and 6 nights in hotels, lounge access, status with the hotel chain, pre-check/global entry, boingo, etc. If you do any traveling this card pays for itself pretty quickly. Oh that link to apply? Right here (and yes, it’s a referral link, I get a bonus too). Naturally you should pay off your bill every month – bonuses aren’t worth the interest rate you’ll pay. But you know that, right?